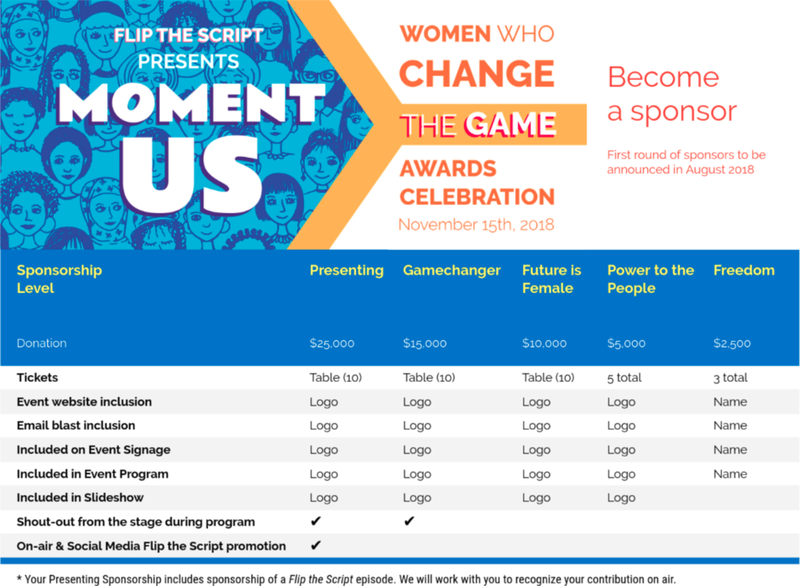 Show San Diego that you support women who are flipping the script and leading the progressive movement— be a sponsor of the 2nd Annual Women Who Change the Game Awards Celebration. The bigger the sponsorship, the bigger your visibility, and the sooner you secure the sponsorship, the more people will see your brand as we promote the event. To guarantee your name or logo is included in all printed materials, please submit your sponsorship by September 30th, 2018.